KICC’s pioneering spirit is attributed to a dynamic Senior Pastor and supporting team. You can find out more about the men and women God has placed at the helm of KICC, here. 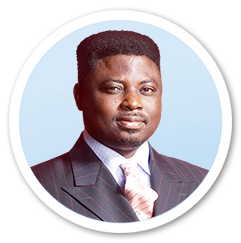 Matthew Ashimolowo has been the Senior Pastor of KICC since 1992. He has a dynamic gifting to combine his calling as a Pastor and teacher, with the roles of mentor, businessman and spiritual father. During more than 30 years in the ministry, Pastor Matthew has given countless people the spiritual and practical foundation on which to successfully build their lives. An inspiring visionary, Pastor Matthew launched the UK’s first church-owned television channel, KICC TV, and his television and radio ministry Winning Ways is a source of inspiration and deliverance for the millions it reaches across the globe. As an award-winning and prolific author, Pastor Matthew has published more than 90 books, including “The Power of Positive Prayer Bible” and the pioneering ‘What’s Wrong With Being Black?’ – a book hailed for ‘reaching the parts community campaigners cannot reach’. Pastor Matthew constantly challenges believers to become the best they can be. Honoured several times as the most influential black person in the public sector/religion category in the Power List, Pastor Matthew’s influence on church growth and evangelism has been noted by local and international news media. A successful businessman, he is recognised as one of the most exciting and inspiring Christian voices on the world scene today. 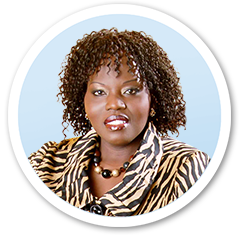 Yemisi Ashimolowo is the Resident Pastor of KICC, the largest and fastest growing church in Western Europe. Since its establishment in 1992, Pastor Yemisi has witnessed KICC increase from 200 adults and 100 children to thousands in attendance every Sunday at the main church and branches. As the Resident Pastor of KICC (Headquarter Church) and the head of KICC’s Winning Women ministry Pastor Yemisi oversees the spiritual lives of more than 5,000 women. Through regular meetings and special events Pastor Yemisi actively reaches out to the individual woman of God through the following ministries: the ‘Successful Wives’ (married women), the ‘Ladies-in-Waiting’ (single women), the ‘Mothers-in-Waiting’ (wives believing God for the fruit of the womb), the ‘Positive Parents’ (single mothers) and the ‘Senior Sisters’ (mature women of God – aged 50 and above). Her personal ministry is to equip women of God with the necessary knowledge, gifts and talents to enable them to reach their potential in Christ. Through the Word of God, Pastor Yemisi helps women to break free from personal, societal and environmental limitations. She is a special gift in particular to women in ministry; challenging and encouraging them to discover and fulfill their calling and purpose. An accomplished and sought after conference speaker, Pastor Yemisi’s uncompromising delivery of the Word has been a blessing to thousands in the UK, Europe, USA and Africa. As a true giver, Pastor Yemisi not only brings the Word but sows practically into the lives of the people where she ministers. Many have also testified to the signs and wonders following her powerful ministry. Pastor Yemisi is married to KICC Senior Pastor Matthew Ashimolowo and she is the proud mother of two sons Tobi and Tomi. KICC’s leaders undertake a variety of responsibilities. They can be Ministers and Deacons or Divisional, Departmental or Caring Heart Fellowship leaders. Depending on their role, leaders undergo Leadership and or Ministry training to tutor, mentor and prepare them for their roles within the church.